- Arm Option: HCUSH (Hold-Open Cush-N-Stop Arm). - Handing: Right Hand (RH). 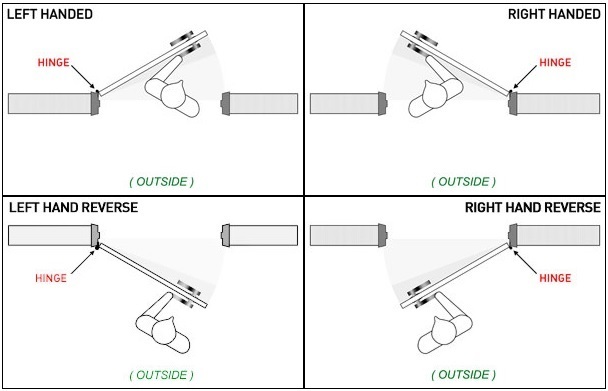 Click here for Handing Diagram. - Delivery: The LCN 4111-HCUSH-AL-RH is In Stock and available to ship. 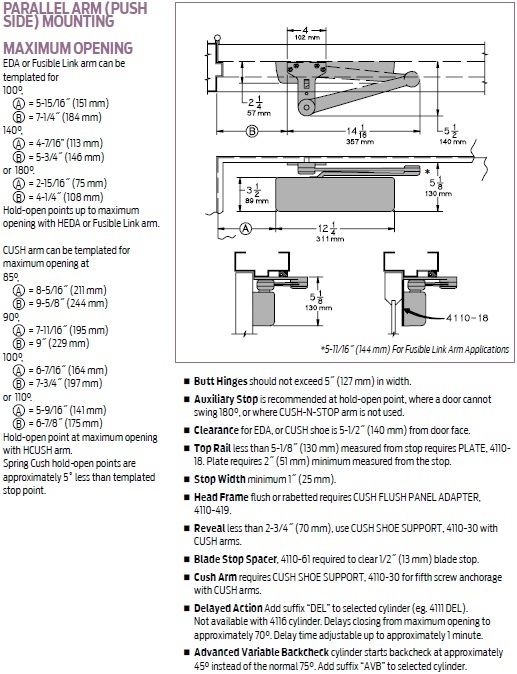 HCUSH (Hold-Open Cush-N-Stop Arm 4110-3049CNS): Non-handed arm provides hold-open function with templated stop/hold-open points. Handle controls hold-open function.